The location is perfect. Very easy to move around walking every where! A lot of restaurant nearby also. We were unexpectedly stranded in Sydney and needed accommodation late at night. Other options were booked out, but we managed to get this accommodation. A well located property & the host was quite good. Location is ok but definitely not a walking distance from Opera house... One need to take train to reach there.. 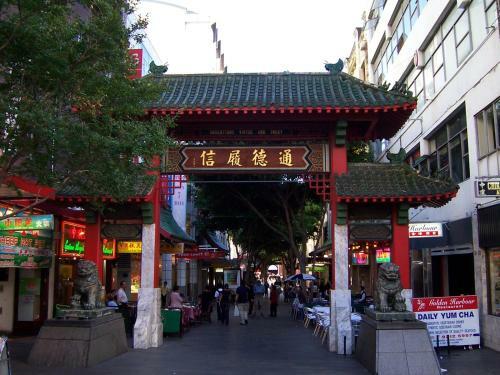 Very close to darling Harbour and Chinatown. Easy walk from central station. When your just after a place to sleep and not to worried about amenities this is a good place to stay. Will definitely stay again when we visit Sydney. 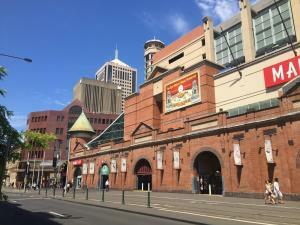 Good location restaurants, pubs, Darling Harbour close by. Tidy and good location. Lots of resturants near by. Our host was very accommodating with an extra request to leave our bags. This involved a little bit of juggling through no fault of the host who went above and beyond to enable us to do so. One of our best sellers in Sydney! 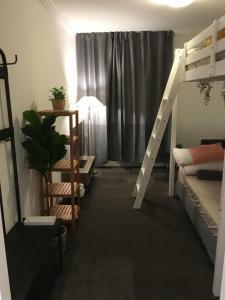 Located in Sydney, a 16-minute walk from International Convention Centre Sydney and one mile from Australian National Maritime Museum, Darling Harbour Stunning Studio on Dixon Street offers free WiFi. The apartment is 1.3 miles from The Star Event Centre. This apartment will provide guests with 1 bedroom, a flat-screen TV and air conditioning. The kitchenette comes with a microwave, a toaster and a fridge and there's a bathroom with free toiletries and a hair dryer. Darling Harbour Stunning Studio on Dixon Street has a terrace. Hiking can be enjoyed nearby. Art Gallery of New South Wales is 1.4 miles from the accommodation, while Hyde Park Barracks Museum is 1.6 miles from the property. 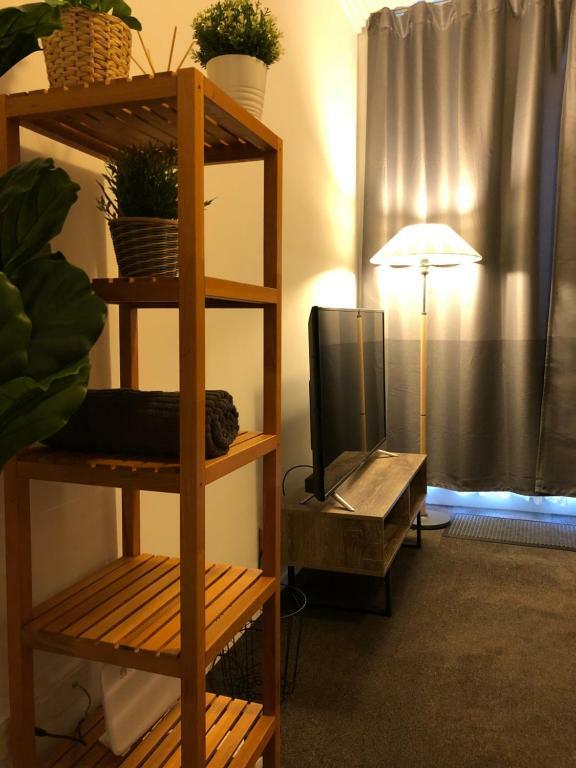 The nearest airport is Kingsford Smith Airport, 5 miles from the property. 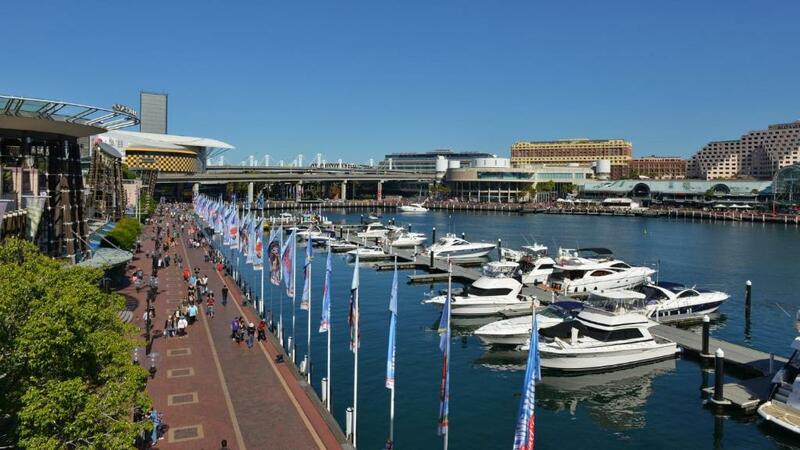 When would you like to stay at Darling Harbour Stunning Studio on Dixon Street? This apartment has a balcony, flat-screen TV and tile/marble floor. 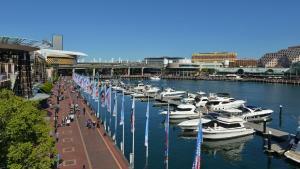 Our apartment is right next to Darling Harbour, only 5 mins walk to ICC and 8 mins to Town Hall Train Station. House Rules Darling Harbour Stunning Studio on Dixon Street takes special requests – add in the next step! Darling Harbour Stunning Studio on Dixon Street accepts these cards and reserves the right to temporarily hold an amount prior to arrival. 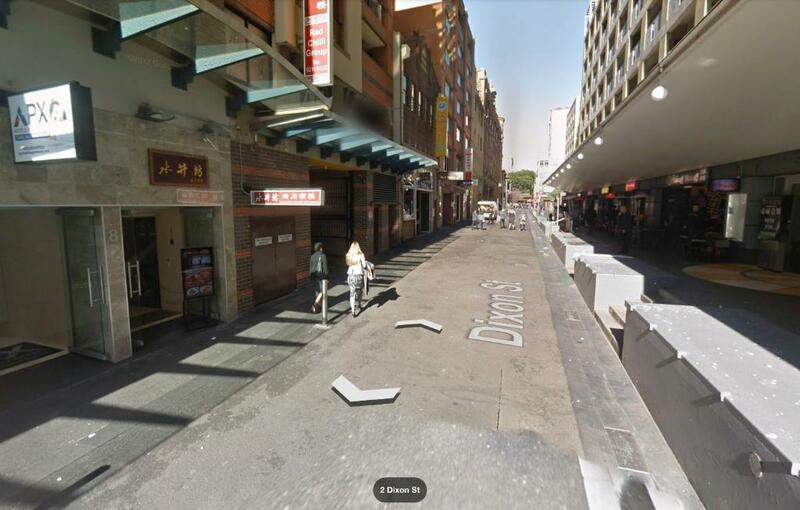 Please inform Darling Harbour Stunning Studio on Dixon Street of your expected arrival time in advance. You can use the Special Requests box when booking, or contact the property directly using the contact details in your confirmation. 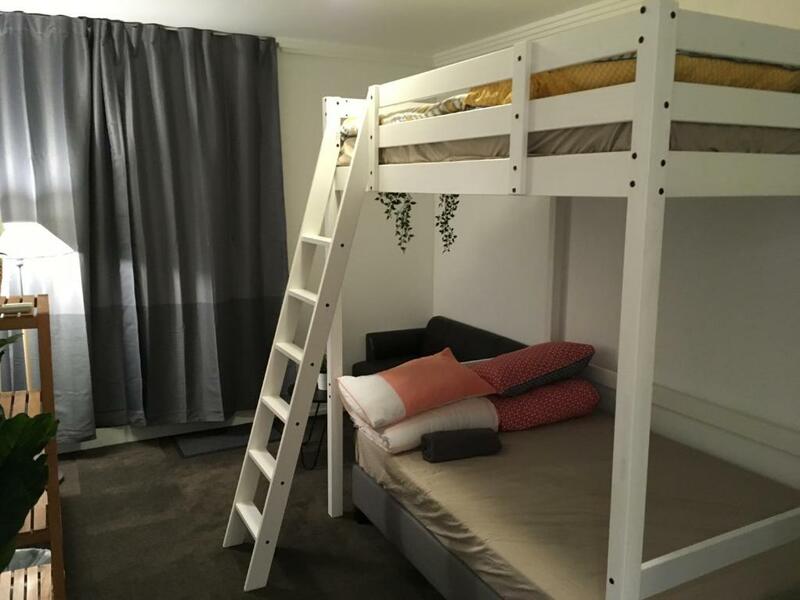 Was told it would hold 5 people.. only beds for 4 people, but would be more suited to 2 Adults and 1 child. The communication with the host. He made us wait more than 1 hour to give us the keys, even though I told him 2 times our arrival time (within the established time). When he finally arrived the keys where inside a mail box!! Therefore, he perfectly could have given us the password instead of making us wait outside for an hour with our bags. There is also not chance to storage your bags the last day. No tea towels, bath mat. Contacted owner via email with a question which was never answered. Text message also not answered. No stove. The property was very difficult to locate because address was not clearly defined. Property numer on Dixon Street was not mentioned in the paperwork printed out .It Causes lot ofinconvenience. Very small, It’s a studio and only sleeps 4 yet they took my booking for 4 adults and one child. Got there to see only one double bunk with the owner telling us we needed to go to Kmart to buy a blowup for our son. Spare blanket in the cupboard was filthy so we also bought another blanket at Kmart. Bathroom was clean but stunk like sewerage, not sure what was wrong but it was a revolting rotten egg smell. Owner only wanted payment in cash and no receipt provided. The room was advertised as having two double beds. It didn't say they were bunk beds, with low clearance between top bunk and ceiling. Property was not a great place. Air conditioning not on and switching up near ceiling and out of easy reach - I would consider this deliberate so as not to have to pay the power. No top sheet - just a Doona - now it may well have had a clean cover, but often people need just a sheet. This place was not cheap and quite frankly for way less one could stay in a decent backpackers which do exist. Barely can fit 3 adults and a child. Close proximity to major attractions! The location is very strategic. The cleaners came in 10 mins before check out time. Was caught by surprise and was rushed out . Wasn’t such a nice way to end a great holiday. Great location and easy to check in. Where to start? Bag of dirty linen from previous guest left in entrance (to be a little fair, the host (for this was more like a dodgy AirBnB) did warn us the bag would be there and that he hadn't had time to collect it ... said he'd do it by 6pm but didn't and asked if we could just stash in one of the cupboards for our stay). Two minutes of hot water before running cold... ouch! Old cap-less shampoo in shower cubicle. No soap. Single, dirty glass for the apartment which had so much residual detergent in it that it foamed. The two double beds were in fact an IKEA style bunk arrangement which was wobbly and whenever someone moved the whole bed moved. 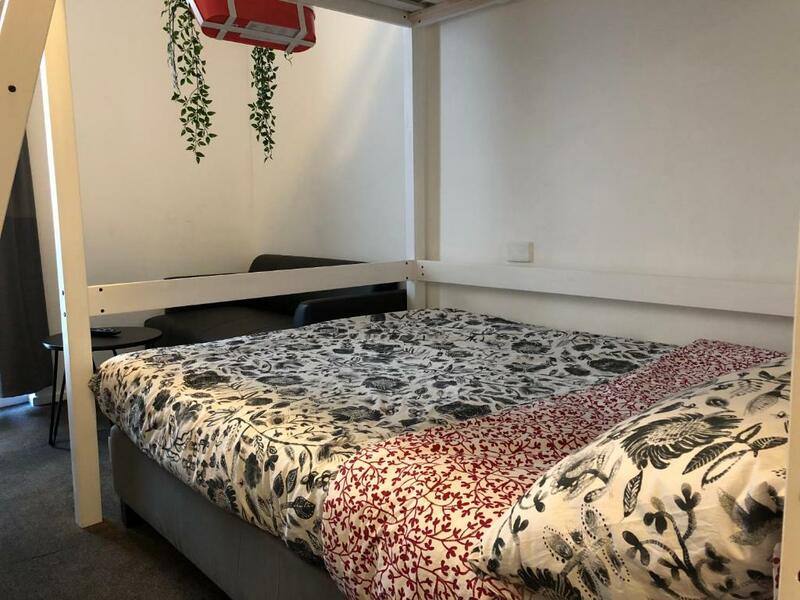 The photograph advertising the apartment was, I believe, actually taken in the apartment but tastefully neglects to show the bunk bed ladder protruding into the centre of the lounge area. One of the rungs of the ladder is cracked. Overall the description of 'Stunning Studio' is a bit of a stretch ... it is in fact stunning for all the wrong reasons. Disappointed. It could be nice and I hope this review encourages a move toward this. I didn't like much about this one.